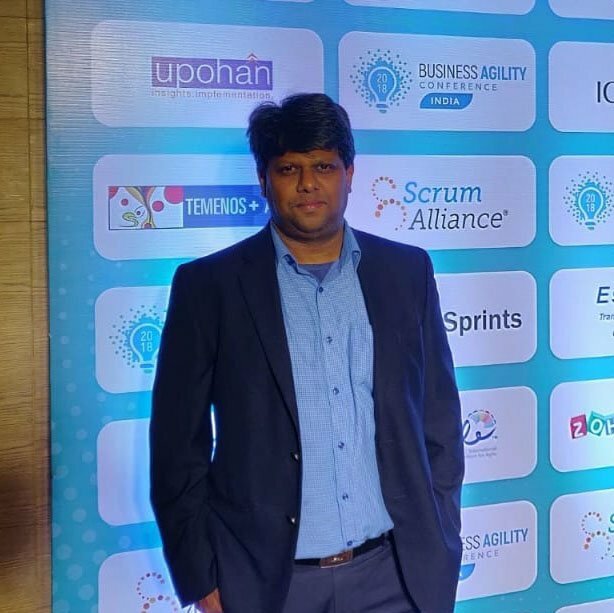 One of the ways to enable faster adoption of agile practices for business agility and putting agile mindset into actual implementation for continuous delivery and continuous improvement can be seen by customizing your Organization Agile practice. 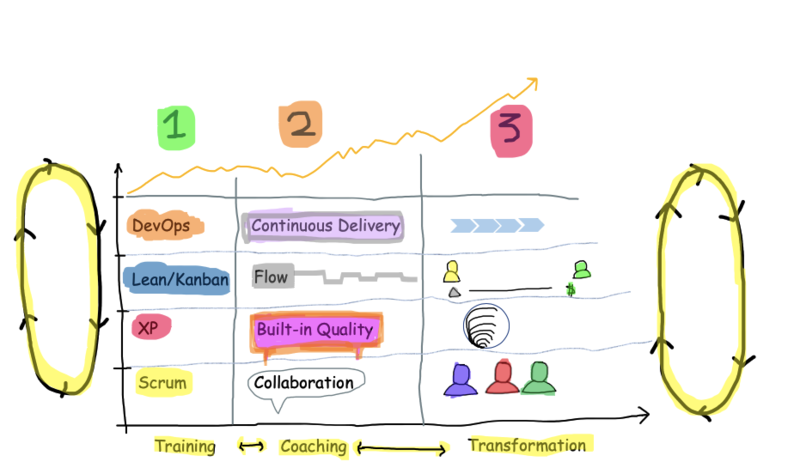 Let us explore together why, what and how you can customize your agile practice for your transformation. Agile Practice helps us to provide the new ways-of-working, modernize the ways-of-working and also achieve faster time-to-market, high-quality, flexibility, employee and customer satisfaction, faster feedback & learning cycles in understanding how our product or services or solutions work in the marketplace, how our customers see our solution and what they actually require. Such a broad and deep learning can be be achieved only by agile approaches (and not by sequential development) approaches in knowledge work (like software and software based solutions domain). What are the adoption challenges? While every organization leader knows the benefits of agile practices (agile values and principles) and scaling agile practices for business agility, they often need to bring the same shared understanding to quick and sustainable implementation at organization scale. Though we have many frameworks at team, scaling and organization levels, we tend to often have debates on which framework is better and become occupied with partial adoption at organization scale. Not scaling organisation scale with holistic agile mindset, end-to-end flow can severly impact the business results for the organization and customers can see them as delays. That is, longer development cycles with defects or incorrect features or incomplete features are typical problems seen as scaling issues. Since the agile practices can be combined and compliment each other at organization scale, we need to take a systems thinking "holistic" view and also a gradual approach to agile transformation. When we start with agile practices adoption without giving much time for foundation, learning, practising - the adoption is not effectively understood and we see partial adoption of the practices and organization can neither leave the old ways-of-working and unable to adopt the new ways-of-working completely and transform themselves. What we might want to apply a fresh new perspective and also a gradual customized approach to take time to understand, starting with minimal set of practices, build incrementally on those adopted practices with baseline concept, keeping a broad and deep scope level by level to get in-depth understanding of the agile practices (which are values & principles based) can help for a complete and holistic adoption of agile practices. People need time to understand the concepts, learning time, practising time and then implement them for high-performance, and they can go beyond the expert level to customize the required practices internally for achieving mastery. One of the ways to overcome the agile practice adoption challenge is by promoting an internal Transformation Team of Transformation Agents with Transformational Leadership, which can customize the agile practices for the organization for step-by-step or in stages. They can play a crucial rule by simplifying the adoption by these step-by-step gradual approaches which customizes the practices as a set of levels having short-term and long-term support. *The SHU-HA-RI technique is a martial arts concept and philosophy describes the stages of learning from beginner level to master level. We wanted to add a foundation level before starting the SHU-HA-RI stage for the preparation of mindset and create a learning-practising mindset. In this learning level, we are making sure the roles are properly trained to understand why, what and how to perform their roles and how the flow of value or processes has to be enabled for agility. The Language for the day-to-day interactions to communicate and collaborate will change at this level by gradual coaching and training, and the teams, organization level roles are going work together on daily basis to understand each other by faster feedback cycle. Iterative, Incremental, Adaptive Development cycles. In this practising level, the members start playing their roles, typically within 3-4 months timeframe the members have better clarity, shared understanding and shared commitment to collaborative learning and performing. Managing Resources (like software, hardware, firmware, information) and Dependencies for Teams, Retrospectives, Improvements. Applying Value Stream Concepts and eliminating wastes and delays. 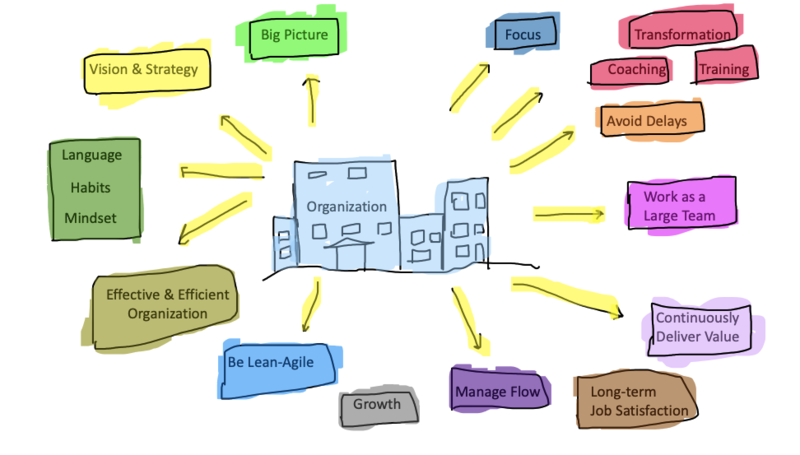 Managing the flow by facilitating the people's decision making with agile practices. Enabling faster flow of value and faster feedback and learning cycles. User Story, Features, Capabilities/Epic (Large Story), Business Value Identification. Customer visits, Observing the workflow, Leadership (Servant-Leadership) approaches changed by agile practices. 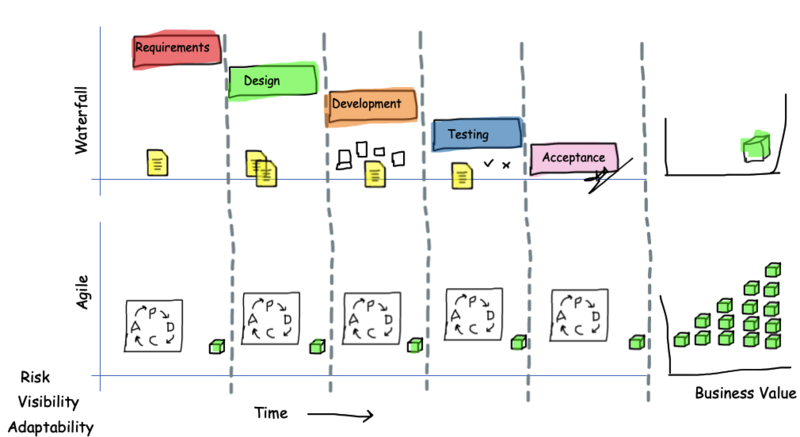 Connected Kanban to make the flow visible at all levels. Servant-Leadership, Leadership at all Levels, Management as Teachers and Facilitators of Change, Self-transforming work culture. Adopting Technical Practices, Automation strategies and visualization of the feedback loops. The customized adoption of agile practices for agile transformation is to help change traditional organizations in a gradual manner and understand and reflect the required practices correctly at all levels. This type of customized approach helps to prepare the roles in a more generic and specific way and also create your own framework (if required) which can versioned for each stage or step. You can choose an existing scaling framework also for gradual or immediate adoption by dedicating time for learning the foundations, introduction and training the roles for the transformation success achieving business value. 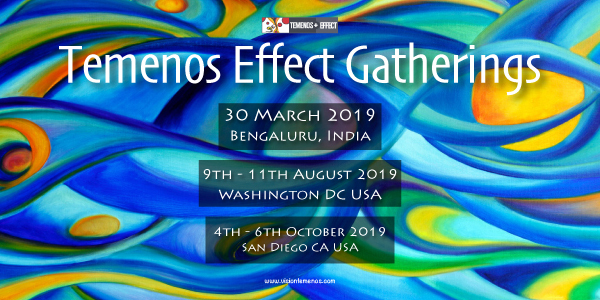 For Agile Training, Coaching and SAFe® related training, coaching and transformation please contact and also see our upcoming events.